I am already very excited about our next island destination. 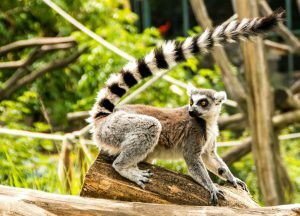 I already thought of Madagascar as a unique and exotic place, but I did not know that as much as 90% of the flora and fauna on Madagascar is unique to the island. I was familiar with the bizarre baobab tree, but was intrigued to find out that in some nearly inaccessible parts of the island, where razor sharp cliff formations nearly enclose them, there are areas with landscapes and creatures that do not exist anywhere else. Fascinating, right? We will definitely look into this and some of the surprising history of the island. Madagascar is the 4th largest island on earth and lies in the Indian Ocean off the coast of Africa. Surprisingly, the earliest settlers came to the island, not from Africa, but from the island of Borneo in South East Asia. Of course there were settlers from the African continent too, but the Malagasy ancestry is a mixture of both. 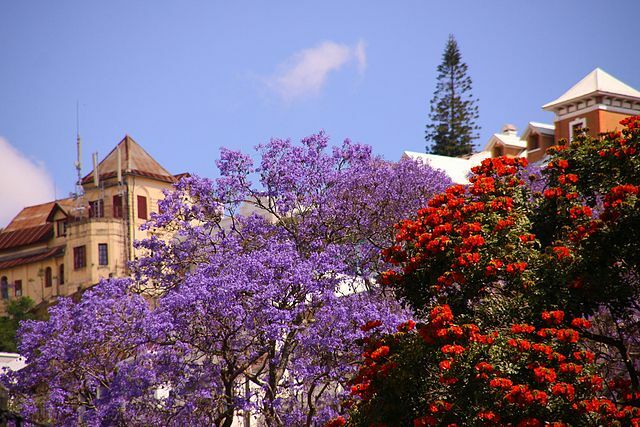 The name Madagascar was first mentioned in the Venetian explorer Marco Polo’s memoirs in the 13th century. It is a misspelling of Mogadishu, the port in Somalia, which apparently is where he thought he had gone. Madagascar has a population of around 22 million people. The official languages are Malagasy and French, and the population is divided into about 18 ethnic groups. Malagasy villagers are said to be very friendly. The real perils of the island are in its sometimes rough terrain, lack of infrastructure, a few nasty insects and plants and maybe the water. Then there’s also the cyclones which can be severe. Also, every place, thing and person here seems to have a really long name. This place has adventure written all over it, but if that is not your thing, there are some nice relaxing resorts and beaches as well. The island’s biodiversity and colonial landmarks are what draw most tourists to Madagascar. 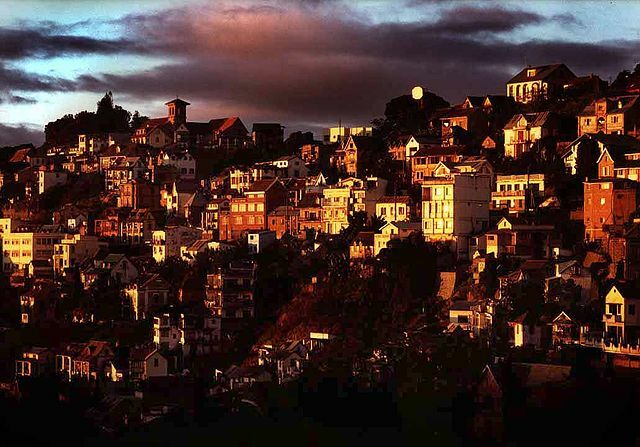 The capitol city Antananarivo is a city of around 1.5 million people. It is located in the center of the island and features royal palaces, colorful houses and cathedrals as well as multiple staircases due to its location on 3 different levels. The landscape of the country varies greatly from one side to the other. The eastern part of the island is the wettest and is where the dense rain forests are located. 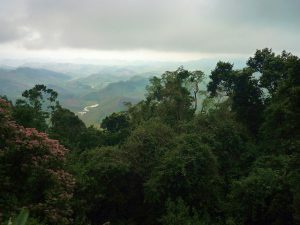 Ranomafana National Park is a top destination in this region. The amount and frequency of encounters with unusual creatures and plants is said to be amazing. The center of the island is quite mountainous, and much of the population resides on its high mountain plateaus. The climate gets dryer as one continues on towards the western and southern parts of the island. The west is characterized by a spiny desert landscape. Here you will find the giant baobab trees and the Tsingy de Bemaraha National Park. Tsingy translates roughly to “where you cannot walk barefoot”. Nearly impenetrable, this area, with it’s sharp, menacing limestone formations, hides numerous strange and distinct mini worlds. There is much, much more to explore. It is a fascinating place, indeed.